All our properties are provided unfurnished. Our family homes (18 years old +) are managed on a day-to-day basis by a Housing Team and a Maintenance Team based out of our Registered Office in Poole. Our rented accommodation for the elderly and extra care scheme (normally 60 years old +) is managed on a day-to-day basis by a Housing Team and a Maintenance Team who are based out of our Registered Office in Poole. The central administration of the business and Registered Office is located in Poole. Applicants in need of housing who do not have the means to secure themselves suitable alternative accommodation (such as those on limited means) may be eligible for Housing Benefit/Universal Credit and are welcome in all our properties. Our rent and service charges are regulated by government. Rents are set within Housing Benefit levels as 'Formula' Rents, also known as 'Social' Rents from April 2015. We are normally responsible for maintaining all external and communal decorations along with structural, communal and most internal repairs. Leaseholders and shared ownership occupiers should, however, refer to the details of their individual lease. Tenants can refer to the Tenants’ Handbook for more details. We welcome tenants' views on the service we provide and offer ample opportunities for involvement, consultation and feedback. Tenants can contact a member of staff directly during working hours (Monday to Friday, excluding English public holidays and between Christmas and New Year). Pets, including dogs, may be allowed provided that you first ask for permission in writing. 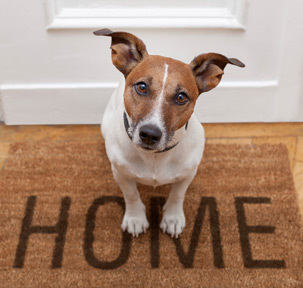 If any pet is subsequently proved to be causing an unreasonable nuisance tenants will be required to make re-homing arrangements.